Condo Scene: Coming into the closet; does size matter? Even if California Closets aren’t in your budget, closet organizers will help you maximize space. I was sitting at a party next to a friend when she glanced down and noticed that her husband’s pants were from another suit and did not match. Though he had previously asked for her opinion, neither of them had perceived the faux pas. This unfortunate mismatched man had fallen prey to the curse of the disorganized closet. 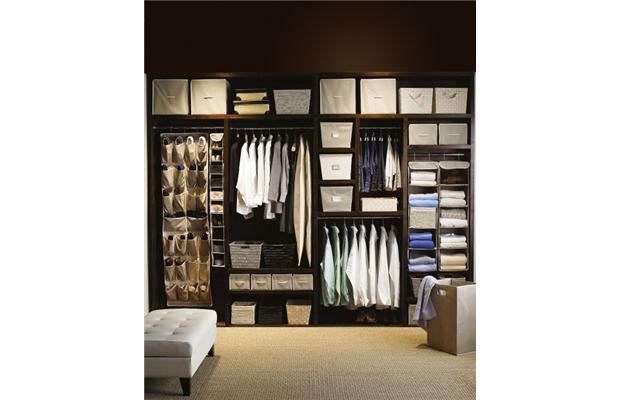 It’s critical to have organized closets in condominiums where storage is typically a precious commodity. In fact, the biggest fear people have of downsizing to condominium living is lack of storage. And even for those who are not downsizing, limited storage is a concern. Then, of course, there are the fashionistas to whom the closet is a house of worship; try explaining minimal closet space to them. But I pooh-pooh those who say it’s impossible to live stylishly in a condominium. To them I say it’s time to organize your belongings and turn your condominium into a condomaximum. The way to alleviate this fear of storage is to be vigilant when scoping out prospective condos. This means insisting that your closets are dimensionally as large as possible. This will ensure you have the optimum condo experience. Do not, under any circumstance, overlook your closet space. Less storage space means fewer possessions, so rather than throwing out everything, you should think about displaying what you own and love so that you can reap daily enjoyment out of your belongings. I like to call this coming into the closet. And if you don’t have the option to make your closets larger, then you need to make the most of the space you do have. Older closet designs were linear with sliding doors, while we now have incredible walk-in closets — an ingenious storage solution. As a young girl I can recall playing in a tiny closet, pretending it was a train car and selling tickets for a ride. I made an easy transition from choo-choos to Jimmy Choos when I got my first walk-in and since then I have become a walk-in closet junkie. Walk-ins are a fantastic way to challenge the common space issues people associate with condo living. Think of the walk-in as another room in the condo; it should be designed to be enjoyed, just like the others. The first step to creating a fabulous walk-in is determining its location in relation to the room. Walk-ins can be separated from the room by a door or simply a door frame. Consider a french door or narrower double door entry for elegance. If the walk-in is in line with a bed, it might be wise to install a solid door, as light from the closet might keep a would-be sleeper awake. If possible, try to place the walk-in so the door is not visible from the bed to avoid this problem altogether. It is also key to think of the availability of natural light when configuring your closet. While in a single-family residence a window in a closet may be a luxury, the condo walk-in should be in a darker area to maximize the availability of natural light to more commonly used rooms. There are other ways to perfect the lighting in the walk-in. Lighting is one of the most important features; remember the guy in the two-toned suit? Solutions include recessed halogens, chandeliers and luxury track lighting to suit your taste. Rather than installing one bright light, use dimmers and creative lighting solutions. We all know size matters, but organizational love within the walk-in can do wonders. It’s all in the details, from lighting to accessories. While you might think accessorizing within the closet simply lies in the domain of belts and jewelry, the closet itself can be accessorized. I have been in many exquisite walk-ins, but the most impressive are detail-oriented. A steamer for clothes is one such detail. I picked mine up at Bed, Bath and Beyond and it is beyond convenient. When organizing your closet you might want to think vertically. Using a stylish ladder or stools, you can maximize the space by installing high-to-reach shelves. 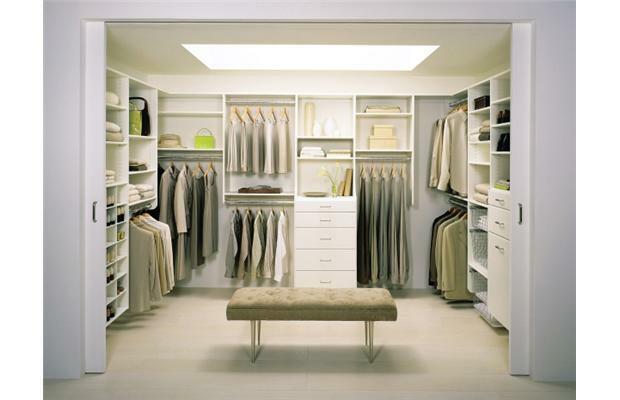 Check out California Closets to see how it’s done. The trick is to get everything off the floor. Then everything instantly looks better. Now to the million-dollar question: how to display the Jimmy Choos. For some it’s toes out (label showing), for others it’s heels only. For still others it’s inside a labelled box (perhaps with a picture). But why not try my personal favourite: the toe/heel combination? It allows you to view the colour, style and shoe height all at the same time. And it makes an artistic display that would make any designer proud. Marilyn Wilson has been selling real estate for more than 23 years and owns Marilyn Wilson Dream Properties Inc. Brokerage, an exclusive affiliate of Christie’s International Real Estate. She can be reached through dreamproperties.com or follow her on Twitter.com/marilyn_wilson.